Life in Seoul: What is the Cost of Living in South Korea? Due to Korean Dramas and Kpop influences, the number of foreigners traveling to Korea or living in Korea has doubled in the last decade. This means that more and more foreigners come to Korea to learn its culture, language, customs and so on. Traveling to Korea certainly helps you understand Korea and also helps you expand your perspective. However, it’s important to understand the difference between traveling and moving abroad. 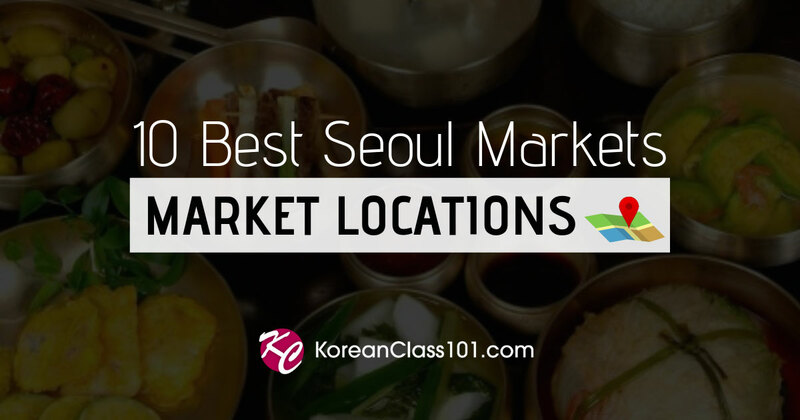 Travelers’ main concerns may be where to stay throughout the trip, or where to shop or to eat in Seoul. But for foreigners who want to live in Korea, one of the main concerns may be the cost of living in Korea. I am sure that you are reading this blog because you have been considering moving to Korea and you want to gather as much information as you can. Don’t worry, KoreanClass101 will look into the living costs, such as renting an apartment, purchasing food, enjoying entertainment etc, in Korea, focusing on Seoul. Also, KoreanClass101 will share some tips on how you can save some money while living in Korea, like locals do, so that you can apply these tips once you start living in Seoul, Korea. 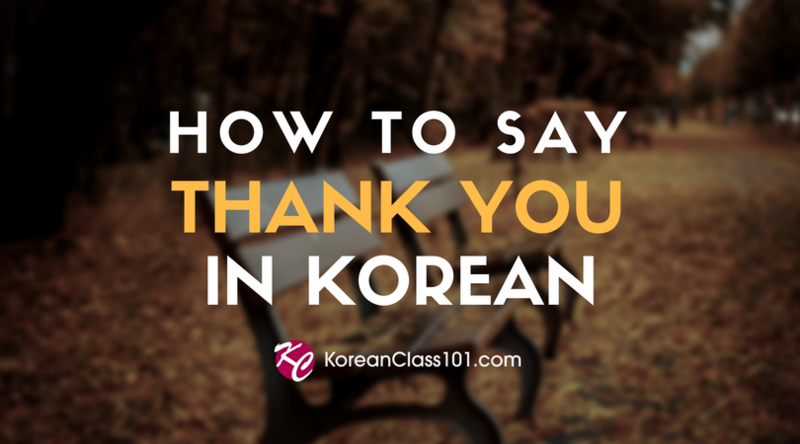 We will share some useful Korean phrases and words for you to learn from this article so please keep reading! If you are going to be an ESL (English as a Second Language) teacher in Korea, you do not need to worry about accommodations, as the company will cover all the expenses including the utility fees. However if you need to find your own place to stay, there are some important things that you need to understand about renting an apartment in Korea. Firstly, depending on where you want to live, your rent will be different. For example, if you want to live in Gangnam, Hongdae or any other main district in Seoul, the rent is going to be extremely expensive in comparison to other areas far from the main districts. Secondly, Koreans usually search for an apartment to rent through a real estate agent. Koreans believe that it is the safest way to find an apartment and usually the real estate agent will take care of all the work including negotiating with the landlord and reading through the contract for you. If you want to lower the apartment rent, you may want to increase the default deposit. Usually, if you increase the deposit by 10,000,000 KRW, you may be able to lower the rent by 50,000 KRW. Also, sometimes you will notice that the water utility fee is included in the rent. This is certainly negotiable as well. The real estate agent will negotiate this with the landlord on your behalf, and there is no guarantee as it’s really up to the landlord to decide. Also, if you find a house then you will need to pay approximately 10% of your rent to the real estate agent. Koreans also use a number of apps or websites to save on the agency fee, which are 다방 (dabangapp), 직방 (Zigbang), 피터팬의 좋은방 구하기 (peterpanz) and so on. Do you want to become fluent in reading Korean? 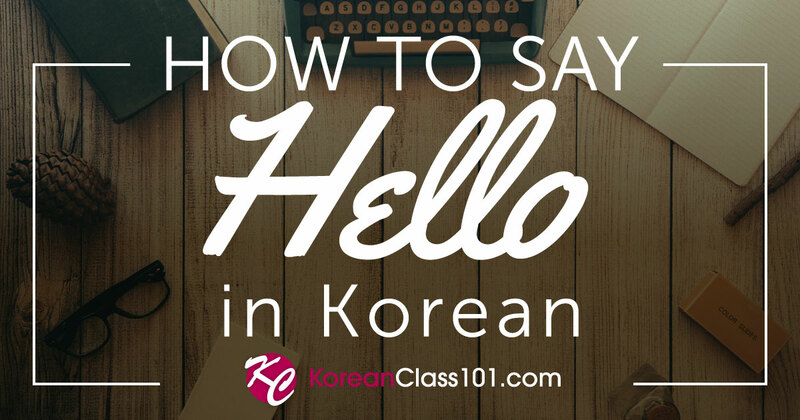 Learn the Korean Alphabet, Hangul, from A to Z! It is relatively cheap to eat out or do grocery shopping in South Korea. For example, a carton of milk costs around 2,500 KRW and the price of snacks and sweets usually start from 1,000 KRW. Also, the majority of supermarkets offer special discounts such as 1+1 events or coupon events. So look out for these signs when you go to a supermarket. In addition, a good thing about doing grocery shopping at supermarkets such as major wholesale stores like emart, Home plus and some local supermarkets, is that some supermarkets offer free delivery if you purchase over a certain amount. Regarding eating out in South Korea, dishes usually cost from 7,000 KRW if you go to an inexpensive restaurant. Just to give you some hints about the cost of food in Korea, a McDonalds meal usually costs from 6,000 KRW and beers cost from 3,000 KRW. Waiters and waitresses often can speak English if you go to the city area, but if you are living outside the main districts, you will need to order food in Korean. If you learn a few phrases and order food at a restaurant, using honorific Korean, Koreans will appreciate you for trying to speak Korean. 소주 (sojoo) - a Korean alcoholic drink typically made from rice or sweet potatoes. Click here to learn more Korean essential vocabulary for fruits and vegetables! The cost of entertainment in South Korea really depends on what you want to do as a hobby or for pleasure. For now, let’s focus on movies. 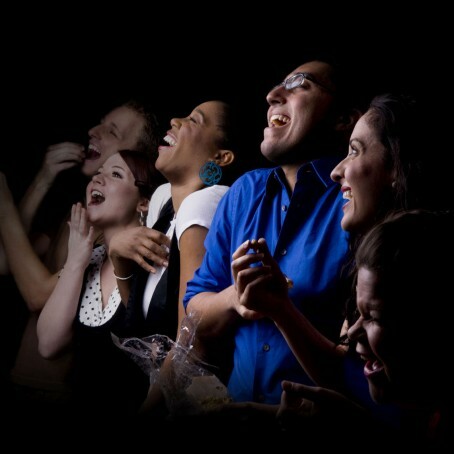 If you purchase movie tickets at the counter, the tickets cost usually around 12,000 KRW, without any snacks or drinks. The price of the ticket becomes more expensive based on the type of movie. For a 3D or IMAX film, expect to pay a lot more. But don’t worry, there are many ways to enjoy the entertainment without spending a fortune. Here are some tips on what locals do to receive some discounts on their movie tickets. 1) Try to purchase a movie ticket online as tickets are usually around 7,500 KRW online. Also, try to sign up to receive more discounts, ranging from 10% to 30%. 2) If you are an active SNS user, many South Korean companies offer free movie tickets or drinks if you share their contents on your SNS pages. 3) Look out for special discounts offered by different cinemas, such as 조조할인 (jojohal-in), 심야할인(sim-ya-hal-in), 무비데이 (mubidei) and so on. 무비데이 (mubidei) - Every Wednesday is called “movie day,” and you will receive some discount on the movie tickets. Do you want to challenge yourself by memorizing 100 essential Korean words? Click here to access Korean Core 100 Word List for free! 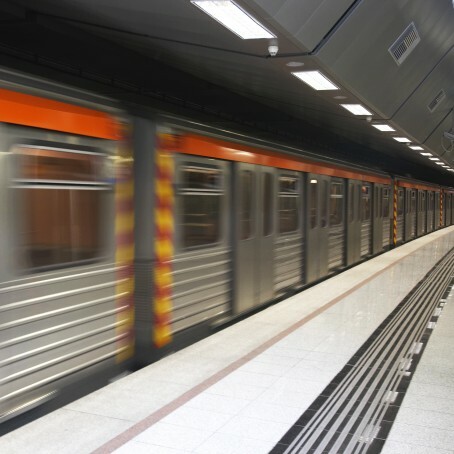 Transportation in South Korea is extremely convenient and cheap. You will need to purchase a T-Money card, which is a prepaid rechargeable touch-and-go transportation card. You can purchase this card at the ticket machine inside the subway. If you can apply for a credit card in Korea, you can also apply for a card that offers discounts for people who use transportation often. You can consult your bank if you are interested. When you scan your transportation card at a subway station, usually it costs 1,250 KRW for an adult and 720 KRW for a child (with the transportation card). For buses in South Korea, the price differs, from 1,200 KRW to 2,500 KRW, depending on the company and time of the day. Regarding the cost of taxis in Seoul, 일반 (Ilban - “regular taxis”) start from 3,000 KRW and 모범 (mobeom - “deluxe taxis,” black with a yellow top )cost from 5,000 KRW. If you catch a taxi late at night, there will be a late night surcharge. What should we watch in Korea? Learn how to express your intentions! In summary, we looked at different areas’ of cost of living in South Korea, focusing only on Seoul. The price range may vary depending on which area you go to, therefore it’s important to compare the prices and do a little bit of research in order to save some money while you are in Korea. Regardless of how cheap or expensive it is to live in South Korea, it’s important to study the language before. If you understand Korean language, it will be a lot easier for you to navigate around in South Korea. If you have more questions about Korea (apart from cost of living in Korea) why not visit our KoreanClass101 forum? You can get a lot of advice from Koreans or foreigners living in Korea. Also KoreanClass101 has many Korean resources where you can access many study materials for free, so sign up for KoreanClass101 today to receive a free trial!